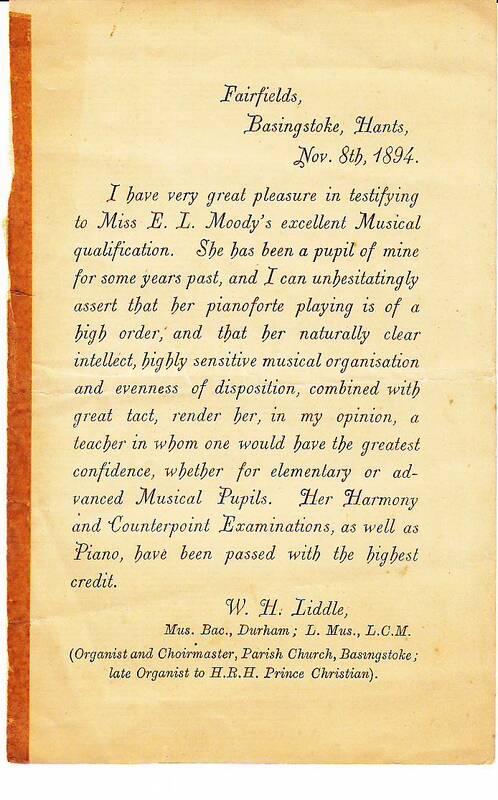 I have very great pleasure in testifying to Miss E. L. Moody’s excellent Musical qualification. She has been a pupil of mine for some years past, and I can unhesitatingly assert that her pianoforte playing is of a high order, and that her naturally clear intellect, highly sensitive musical organisation and evenness of disposition, combined with great tact, render her, in my opinion, a teacher in whom one would have the greatest confidence, whether for elementary or advanced Musical Pupils. 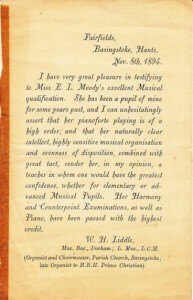 Her Harmony and Counterpoint Examinations, as well as Piano, have been passed with the highest credit. Mus. Bac., Durham; L. 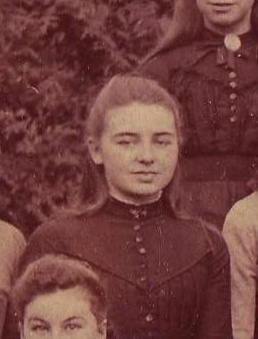 Mus., L.C.M. (Organist and Choirmaster, Parish Church, Basingstoke; late Organist to H.R.H. Prince Christian).